It is with heartfelt sadness that we announce the passing of Claude on January 6, 2018 at the age of 85. Predeceased by his wife Lina of 57 years, he is survived by his son Marc, daughter-in-law Edna, grand-daughter Emilie, and his sister Colette. He was born in Nicolet, QC. and was the second to the youngest of a family of 12 children. He moved to Montreal at a young age, where he spent most of his life. He worked as a credit manager in the transportation industry for more than 25 years, and then in the pharmaceutical and interior design industries. 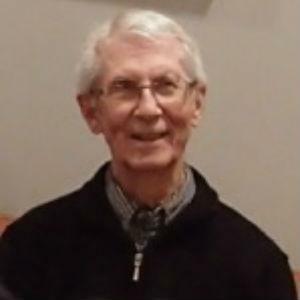 He moved to North Vancouver in 2012, where he enjoyed a peaceful retirement close to his son, daughter-in-law, and grand-daughter. He was easy-going with a humorous personality and enjoyed teaching french to everyone he encountered. He had a great appreciation for nature, specifically birds and trees. He was an avid cross-country skier and skater. His favourite vacationing place during his retirement was Ogunquit Beach, Maine, where he and his wife would enjoy the ocean. Please share your message of condolence with the family, It will be visible to the public but your email address will not be published.